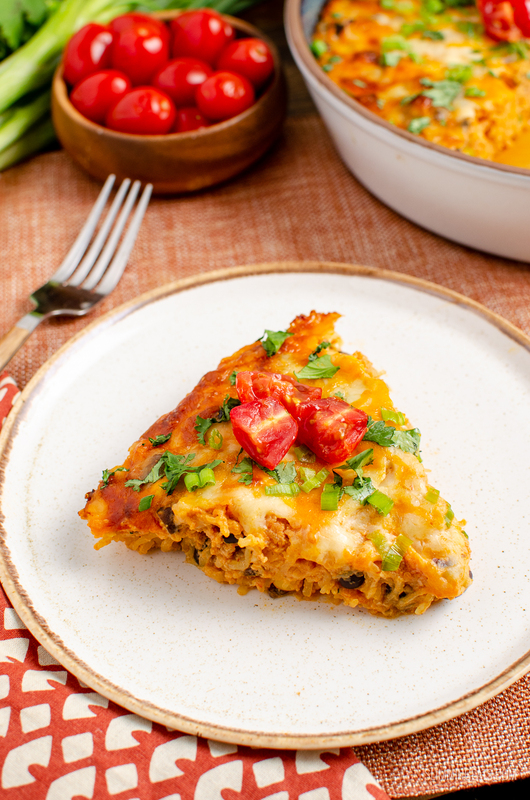 Mexican Spaghetti Squash Bake – both healthy and delicious with bold flavours, black beans and melted golden cheese. Spaghetti squash has to be up there at the top of my list for favourite vegetables. 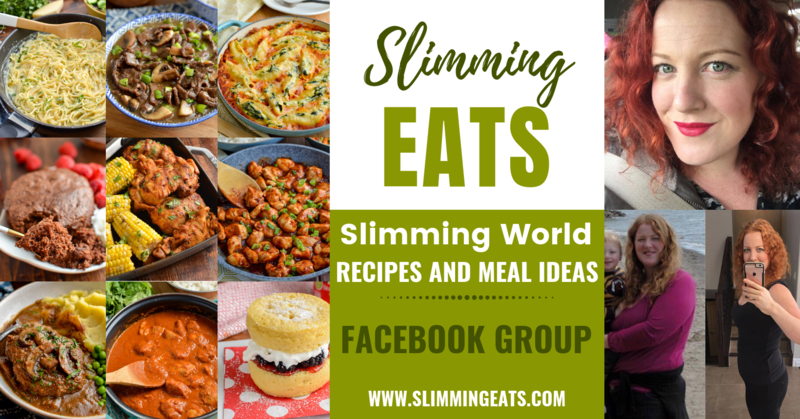 It’s so versatile and can be used in a variety of really creative ways to create the most delicious healthy dishes. Before I moved to Canada, I probably would not have even known what spaghetti squash is. But now with it available at pretty much every grocery store here, it’s a regular item in my grocery cart. 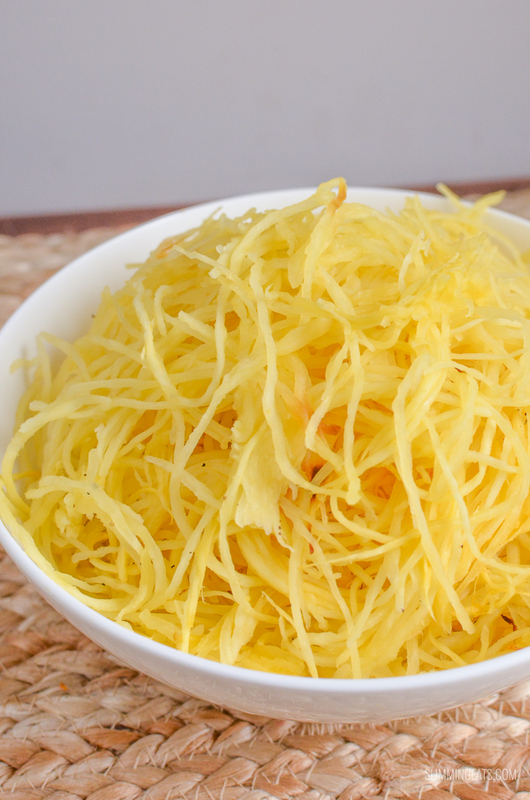 Spaghetti Squash is pretty unique in that once cooked resembles strands of spaghetti, so is a perfect natural gluten free replacement for pasta or noodles and a great speed food to add to your plate. Perfect with spaghetti bolognese instead of pasta, add it to your chow mein instead of noodles, or do a half and half mix if you really can’t live without the pasta. 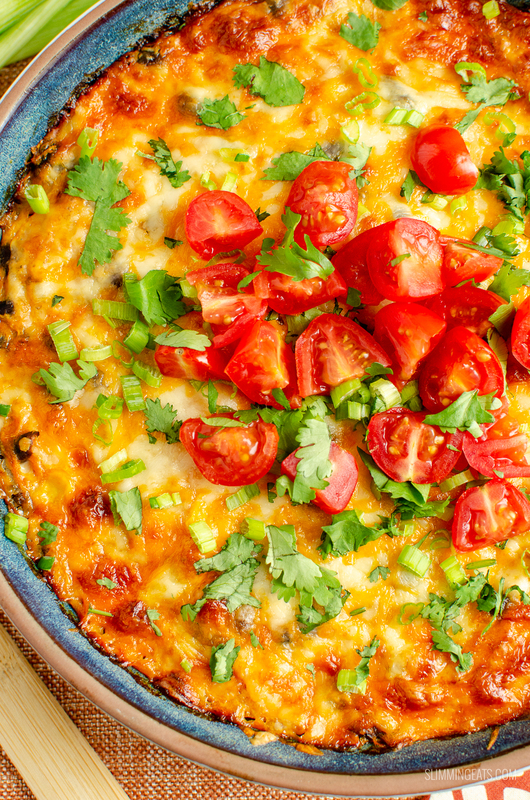 Another favourite way to use cooked spaghetti squash is in a delicious cheesy bake like this Mexican Spaghetti Squash Bake. Seriously it’s so darn flavoursome, I could eat it every week. 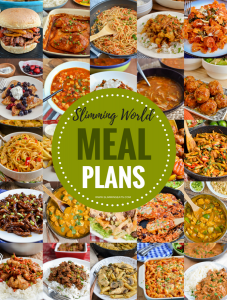 so many yummy choices, right?? 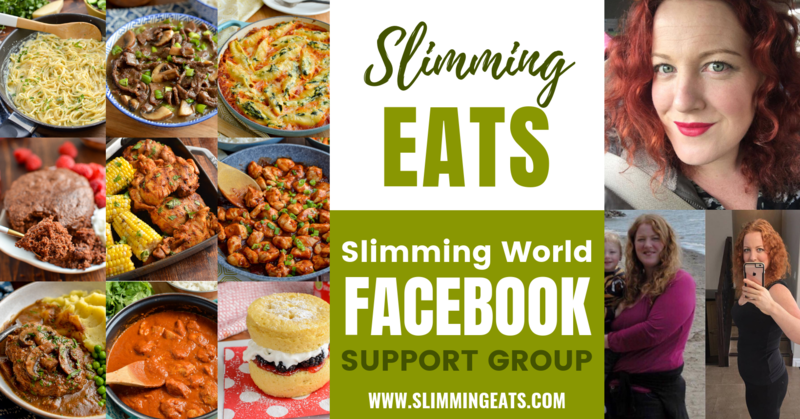 To cook the spaghetti squash, my favourite method is in the oven see my How to Cook Spaghetti Squash, it’s a really simple method and gives you perfect long strands of squash instead of short. 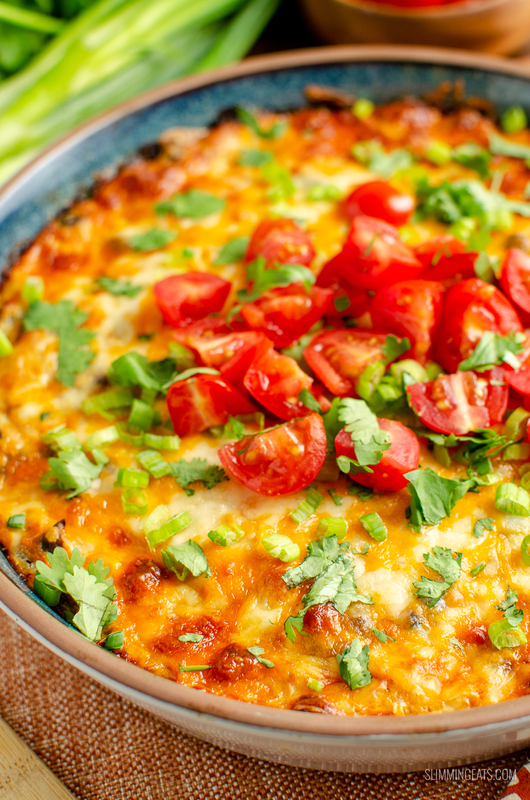 Once you have the cooked spaghetti squash you can then turn it into this yummy Mexican Spaghetti Squash Bake. 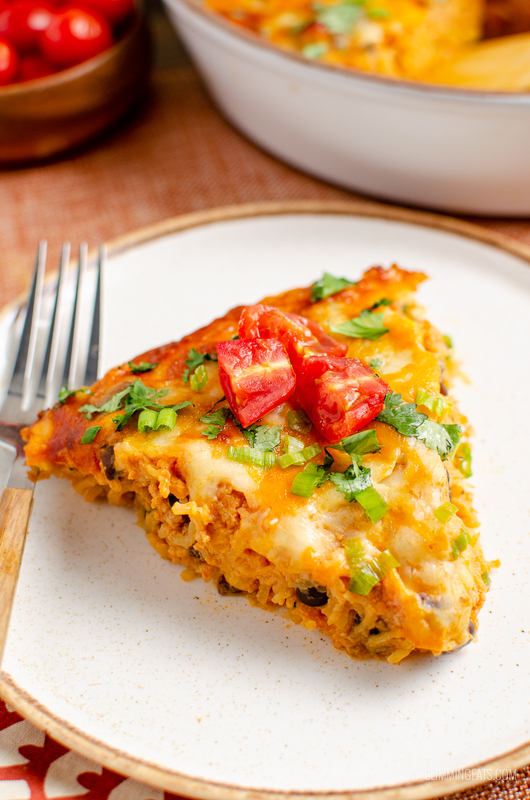 How can I add a 1/3 speed foods to this Syn Free Mexican Spaghetti Squash Bake? 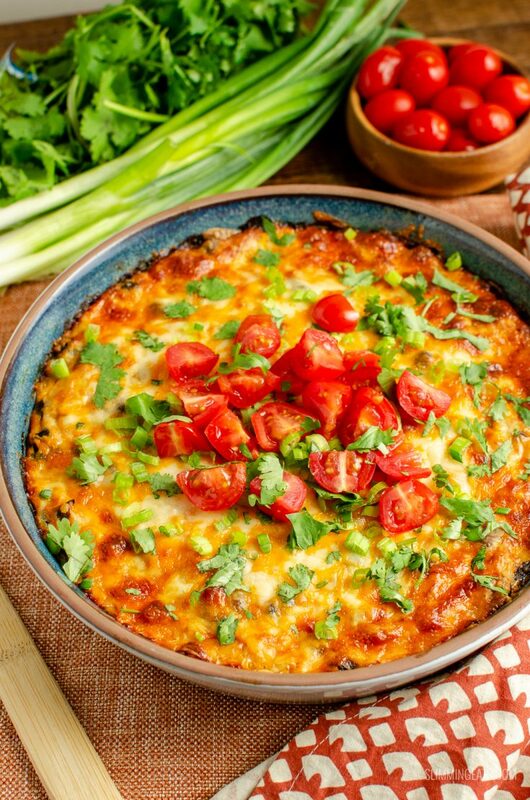 You are totally covered with this dish, seeing as the majority of the dish is speed foods, so dig and enjoy without any of the guilt. But just in case you want to increase those speed foods even further, a side salad goes perfectly with a nice big slice. Help!! I can’t find spaghetti squash anywhere I hear you say. If you have one of these handy 5 blade spiralizer, you can try substituting the spaghetti squash for some spiralized butternut squash strands. I recommend just saute it in a pan with a bit of spray oil just to soften slightly before mixing it with the other ingredients. 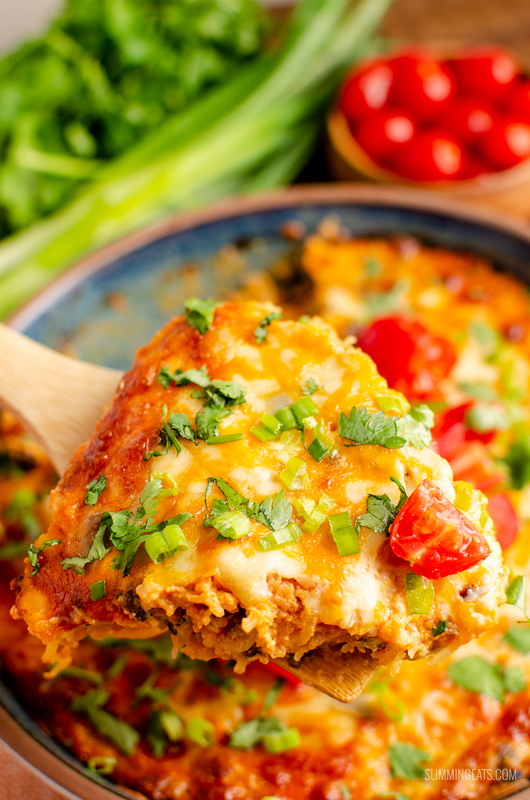 What Kitchen Items do I need to make this Syn Free Mexican Spaghetti Squash Bake? 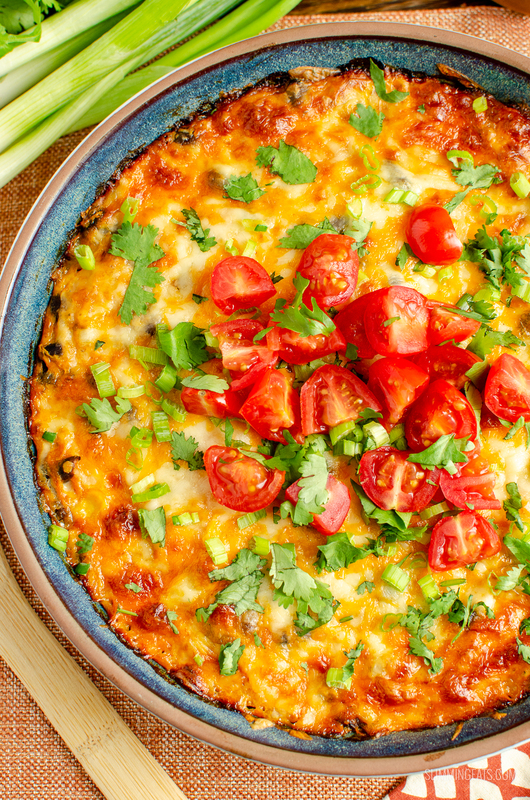 Mexican Spaghetti Squash Bake - both healthy and delicious with bold flavours, black beans and melted golden cheese. Add the onion and garlic and fry for approx 2 mins to soften. Spray the oven proof dish with some cooking oil spray. Add the spaghetti squash mix to the dish. Bake in the oven for 30 mins until the cheese is melted and golden. I’m looking at your recipes and trying to figure out what your serving sizes are. Roughly!